Not least because it was a chance for us all to get together and celebrate the amazing achievements by our members – whether that be through excellent running performance or endeavour! Of course, Saturday morning was ritual. parkrun. All one word, all lower case for the pedants. 5k. Free, and that’s something you don’t hear very often. Everyone welcome. As usual we were dotted around the country. Some intentional trips. Some opportune while away from home. Some more opportune than others with a long run planned that passed a parkrun setting up and not the intended destination. Friendly conversation with those involved caused a change of plan. The magic of parkrun. Evening arrived. The Phoenix descended on a centre named in memory of an 18th century philosopher. A community club using a community facility to house an evening of celebration for its athletes, recognising impressive running through inspiration, ability and endeavour. Reminiscing on a great year of growth and optimism. Rewarding those who have achieved. Last night will be a very long lasting memory for me personally. One walked around with her trophy offering sweets from it that she’d filled it with earlier, beaming from ear to ear at the accolade she’d very unexpectedly received. Tables full of people discussing the events of the evening or their upcoming plans. Others showing off their awards, receiving well deserved praise for their impressive endeavours. Some let their hair down. An opportunity to let go. A dance floor full. Scenes reminiscent of school disco. Smiles. Laughter. The smiles and laughter were infectious. A huge amount of this is nothing to do with running. This is to do with relationship. We’ve been brought together by a crazy habit that has pushed some of us to the limit. That limit doesn’t have to be huge but when an experience pushes limits and it is shared the bond is strong. I smiled. From ear to ear. If you could stop time and bottle that moment it would be worth a million pounds. The family had a party and it was a damned good one. Phoenix family, thank you, it was a blast! Let’s all do it again soon! 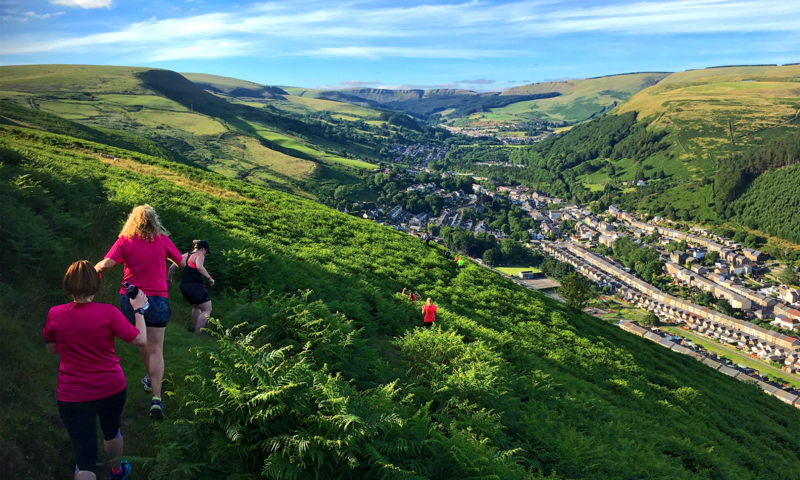 Despite a late one, members still rose this morning to encourage our heroes on their continued journey, cover the trails and even race on a route that was slightly longer than expected in the Welsh capital. Another, also present for the festivities, headed to mid-west Wales for an undulating half marathon while another headed across the border to complete a 10k on a route usually circumnavigated by powered vehicles. Yes, there’s a lot involved in doing this job – but being a family man I know that enormous sacrifice in exchange for seeing that single moment of sheer joy on a face from having achieved something that was previously out of reach is absolutely worth it!